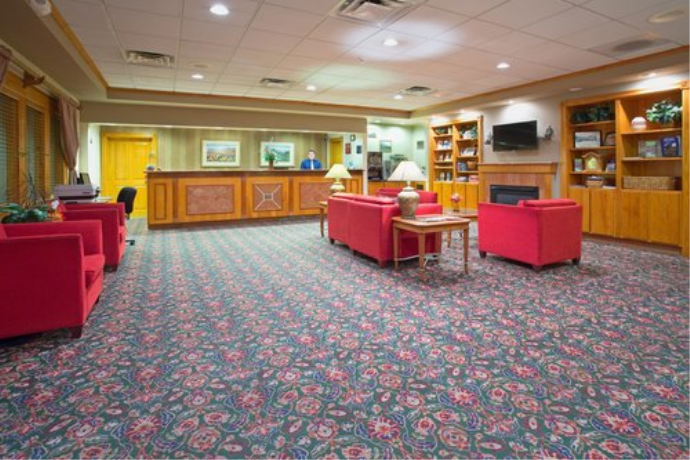 Recently renovated, the hotel offers guests the convenience of easy access to shopping, dining, and galleries as well as many exciting activities. The world famous Durango Silverton Narrow Gauge Railroad is just 5 short blocks from the hotel and a very easy walk. The beautiful Animas river flows behind the hotel giving guests wonderful scenery as well as a 3 mile river walk. 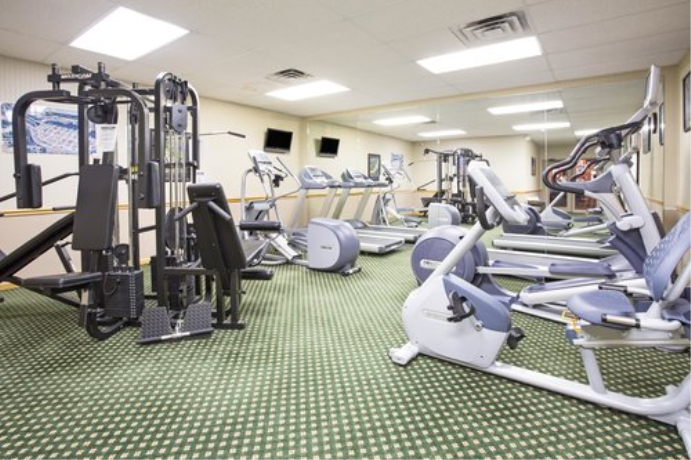 Our indoor pool, jacuzzi, sauna, and fitness center are sure to help you to relax and recharge. King Bed Room - nonsmoking. 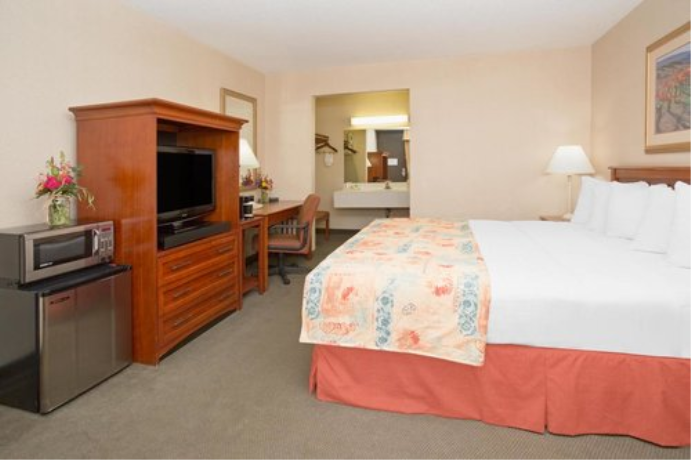 This recently updated room includes a full bathroom, hair dryer, iron, ironing board and coffee maker. A micro-refrigerator is available upon request for a one-time fee of $20. Two Double Bed Room facing the city - nonsmoking. This room has two extended double beds, table and chairs, iron and ironing board, in-room coffee and coffee maker, and a blow dryer. A micro-refrigerator is available upon request for a one-time fee of $20. Two Double Bed Room facing the river - nonsmoking. This room has two extended double beds, table and chairs, iron and ironing board, in-room coffee and coffee maker, and a blow dryer. A micro-refrigerator is available upon request for a one-time fee of $20. 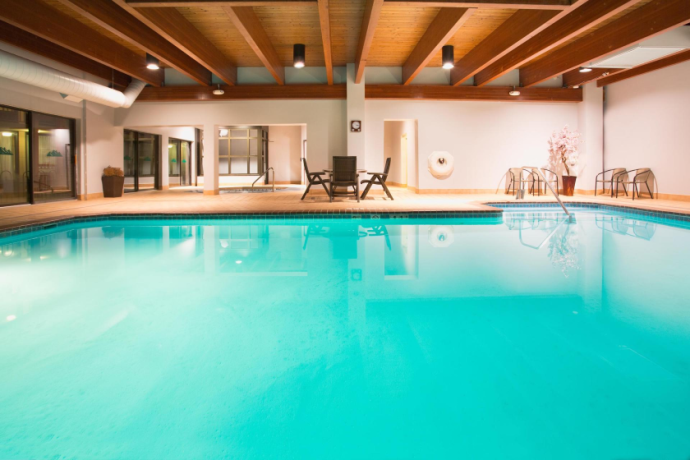 Two Double Bed Room poolside - nonsmoking. This room has two extended double beds, table and chairs, iron and ironing board, in-room coffee and coffee maker, and a blow dryer. A micro-refrigerator is available upon request for a one-time fee of $20. North on HWY 550/Camino Del Rio. 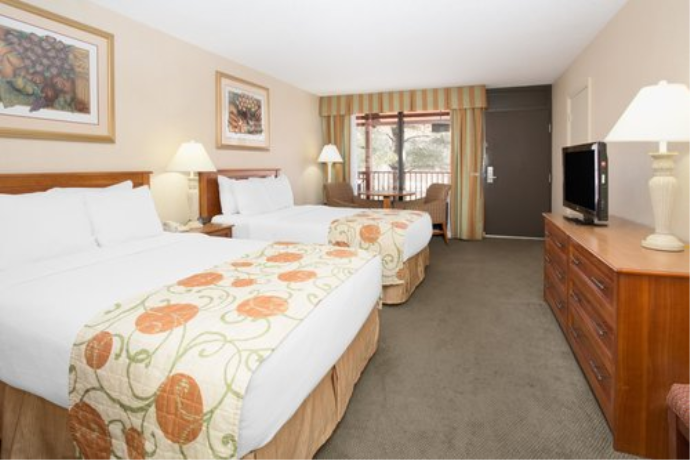 The Durango Downtown Inn is at 9th Street and Camino Del Rio. There is an Applebee's restaurant attached to the motel. General	| DRIVING DIRECTIONS: North on HWY 550/Camino Del Rio. Durango Downtown Inn is at 9th Street and Camino Del Rio. There is an Applebee's restaurant attached to the motel. Cancellation	| Cancellations require 24 hours notice prior to arrival. Check In	| Check in is guaranteed at 4:00 pm. Pets	| The hotel takes pets. There is a $10.00 per night charge for each pet. Other	| Cancellation - Cancellations require 24 hours notice prior to arrival. Children	| Children under 18 stay free with adult.